Talk to Stargaard/Paris/Kageta before you start. This will ensure that you will meet the requirements for the credit. 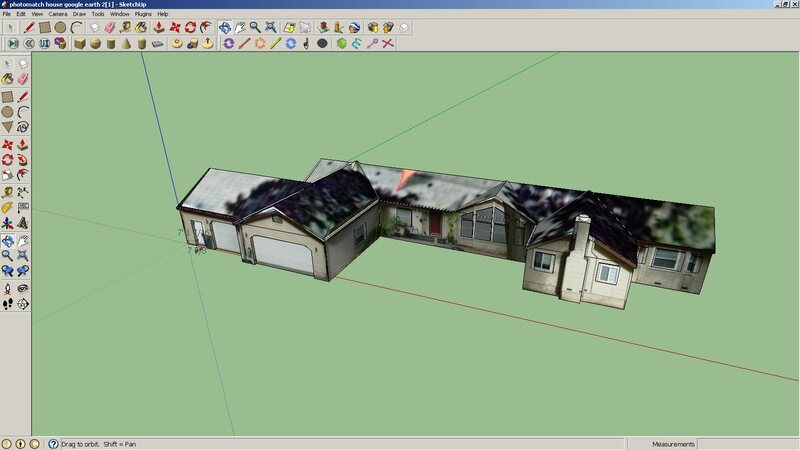 Draw Your Own House or any building at Del Oro using the Match Photo technique in SketchUp. The House shown at the right would get 120 points due to its complexity. The following SketchUp Videos will Explain the process. There are many other videos on youtube that explains the process. #2 Up to 70 points. 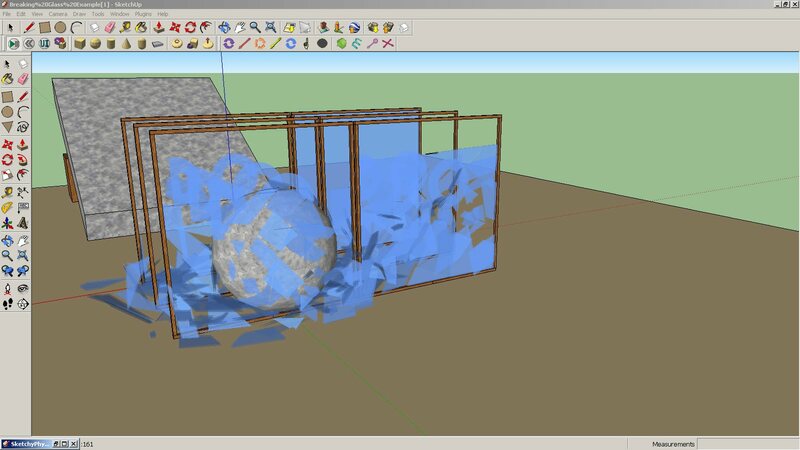 Download the "Breaking Glass" SketchyPhysics file at the bottom of the page. Find out how it is done. If you can show me how to do it (has to look nice), you get the points. When the glass breaks, it has to leave your name, just like the example leaves "DO". Make your own. Do not modify the example.